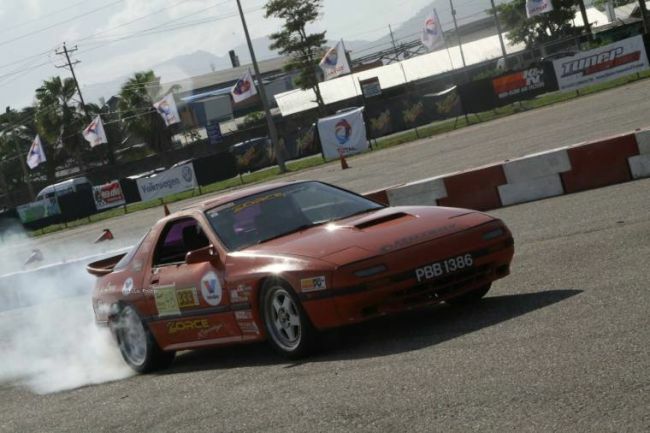 ARA D&W #4 and Drift Competition – 19th May at ARC. 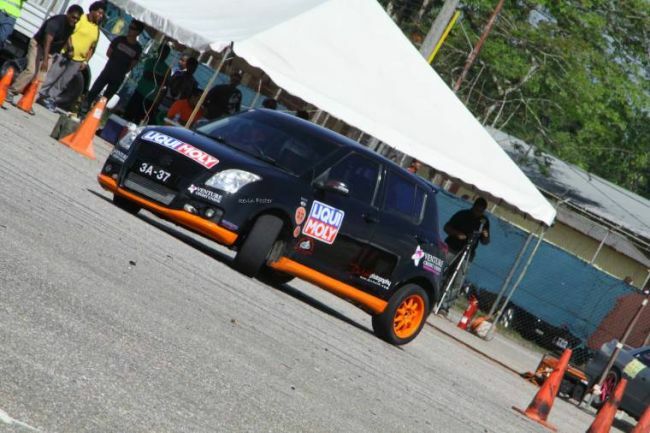 Re: ARA D&W #4 and Drift Competition – 19th May at ARC. Weather still great, and refusing late entries. Event well on the way, but the normal "murphy visit" - PA system blow a fuse, replaced and moving on. Now into qualifying runs. Then selecting the fastest 4 in each class, before moving into knockout runs. And then the Drift Class competition! And this on a day when there is Power-Boat racing and the TTRC High Speed Rallying in the South. So with the threat of approaching bad weather, we see an incredible turnout by competitors and spectators to this Event. And young Kristian Boodoosing will not win his fourth consecutive Event since his car developed mechanical issues and in spite of a tremendous effort, it still was a no-go. Butttt, he just could not miss this event and requested special permission to make an appearance with his shifter Kart, and this was readily agreed to by AutoSport - no competition. In his very first run, no testing, no shake down, he registered an incredible 46 seconds pass - his best time in the Evo 6... 51.115 secs! Congratulations Kristian..! 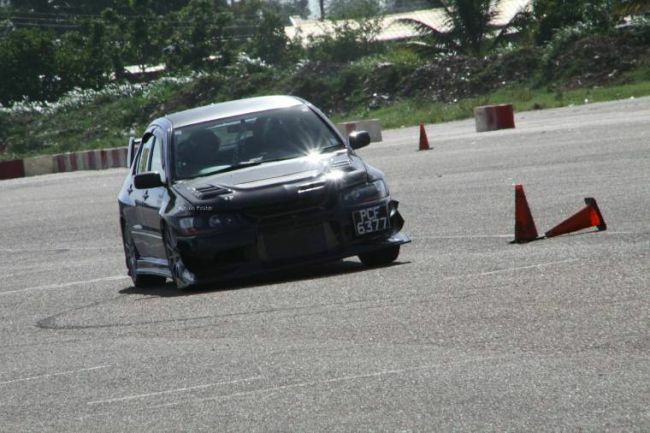 Not only with the Lancer Evolution VI but with the #17 Shifter Go Kart..! A bright promising future awaits this young man in Motorsport..! it was a very good run...not sure but a think i came 2nd in 2B....and if so...it feels dame awesome!!!.. Great event, looking forward to the next one.. I don't need to say the obvious here................but great work Rawle/Autosport. Event was epic as usual, sorry Kristian EVO was down as I would have loved to see him run both the professor and shiv. And Kristian & that kart with the both 46 & 45 sec run was great, would have loved to see the GTR on the other lane too. Professor's run with shiv was also a good one. All in all, epic event & can't wait for the next one. P.S. Devi's tent is always epic. Event was another excellent display of event management. Autosport again showed that they can work around obstacles (heads etc) and one of Rawle's strong points is that he is willing to listen. An issue was raised in the driver's briefing as to whether a driver who went up in class could carry points earned in respect of attending drivers meetings etc. Although Rawle intially said no, Prof asked the obvious question "why not", Rawle listened, saw the merit and confirmed that those points could be carried over by the driver. Civil, informed dialogue always results in progress. If I could suggest something to be improved, we wait too long in the box for slips and the exit. Its a risk when there other cars on the course. Some potential safety improvements - don't put a car on the staring block until the cars on track have finished. Reason: You are sitting in the blocks with a car heading straight for you on the slalom leg. the aim point for a good entry into the 360 IS the starting block so its an unnecessary risk. A white 4A evo came too close for comfort to me when I was in the block. Finally on safety, the notion of a car and a kart running at the same time is asking for trouble. What if the car crossed the lane and collided with the kart? That spells certain serious injury or even worse for the kart driver. I don't know whose suggestion it was (it wasn't Rawle's because he had to leave to deal with a personal emergency) but it was in my view at total lapse of judgement on the part of ensuring safe competition and I'm that when it was raised that a further decision was taken to let the kart run on its own. 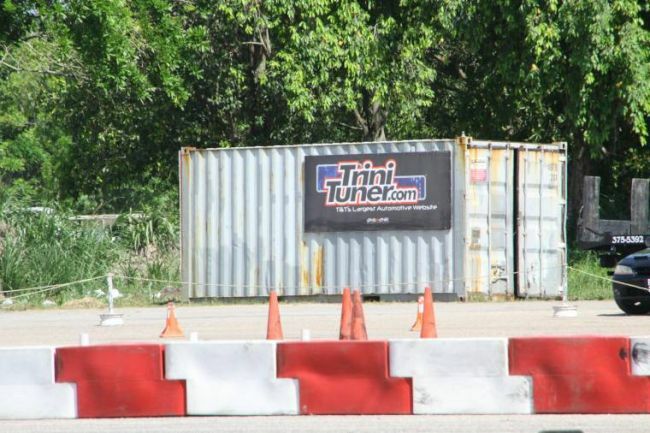 True, having the Kart on course with a car is dangerous as the car driver will be pushing it and may loose control (as with a lot of spin outs that took place yesterday) and can prove to be well; dangerous. With regards to the starting grid/block I agree as well. I saw that episode with the EVO and you were on line, could have gone worse (thank god it didn't). There was also something similar with a Blue STI. Maybe both drivers exit the finish box and collect the slips before returning to the line up. We are continually looking at improving over the last event, and that issue with waiting for slips is uppermost - actually looking at having a remote printer down by the containers so there will be no waiting in the box. And having a spare Amplifier on hand so will not be surprised with that again. And while some would love to see a car line up with a Kart, we will never allow this with the extreme risk involved. Would love to have a class with shifter Karts only but we just do not have enough time for that. Just looking at the drift sessions we are continually concerned with safety, and are working with the Drift crew to make it tighter and better and more exciting. Again pointing out what we have been able to achieve in this car park, how we have been successful in having such a wide cross-section of competitors eager to participate and get even more involved. Again we thank all for their fullest cooperation, support and feedback. Place yuh bet's who you'll think will make it into the 4A Finals!!! IMO the datsun always being put to the test on this course. Being the owner of an evo and a gtr I can safely say the courses are geared towards evo's and sti's(not purposely, but it just happens to be). 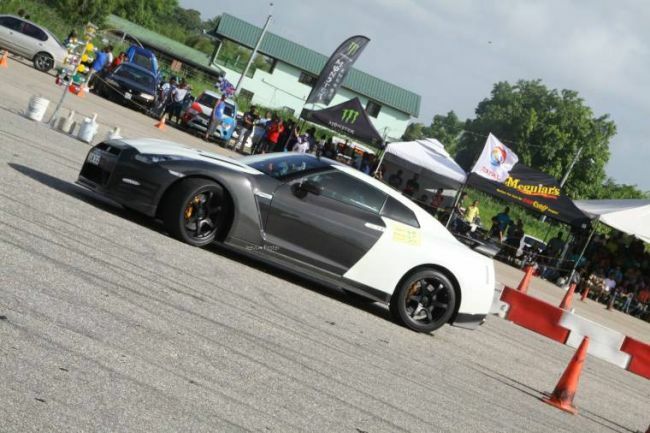 The GTR is a big heavy car better suited for a road course. Not making any excuses for the R35, but I know for a fact evo's and subaru's would have an advantage here. They're lighter and nimbler. I think the first three in that list will be in the top 3. A well deserved win Prof. No doubt about it. Thanks paparazzi, could be a one off, we would try hard though, I could do with a little piece of the 20m to keep up with you guys. AutoSport wrote: And while some would love to see a car line up with a Kart, we will never allow this with the extreme risk involved. You need to investigate this further, because it was patently clear to me (having been mentioned over the PA system 3 times) that it was going to happen until concerns were raised by several persons, including me, and it was simply announced that it was not going to happen. Afterwards someone from the timing tent mentioned to me that the talk was that I didn't want to collect licks from a kart. Well I collect licks from Kristian in his car let alone his kart But kicks (and licks) aside, I'd have been a fool to engage in that sort of run. I've learned expensive lessons on risk taking, even in a closed environment and thankfully then it was only metal and not limb that was damaged. But it would appear that there are persons who are not prepared to learn from other people's mistakes and simply throw caution to the wind. Safety first. Aaron raised another point on safety earlier in the thread. It's a good point. Old Dogs can learn new tricks. I was lucky enough to catch up with Mr. Fixables with a group of drivers by the 360 markers, he was showing them the lines to take when heading back down the track and when they come back to go in to the timing box, he took his time to explain and demonstrate the difference in approach. On my runs, I followed his advice and found it to be working. Thanks man. As another person that would love to see a kart versus a fast car like paparazzi's GTR or otherwise, I whole heartedly agree that it shouldn't happen at D+W. The little plastic barriers would not be able to stop a hard spin from a car... or worse yet... a broke axle under power, etc... On a drag racing track or even heavy concrete barriers would be more reasonable... but alas, yet another reason to push for an actual track. There is an inherent risk in all sport, even those that involve being surrounded by a metal box, but this is not an open wheel machine, it's a kart... basically a piece of sheet metal with a motor and wheels. Even a bike would stand a better chance at taking a hit from a vehicle and having the operator survive. Kudos to those who objected to the kart vs car run... it was certainly not a decision that would have been made by the spectators. maybe we should have more discussion on safety at the pre-event briefing... but we need logical and poignant topics on hand to discuss....it's all about growth of what we have. As Autosport said... maybe a kart versus kart face off would appease the masses !!! All in all... a great event... no major mishaps.... and for the first time in a LONG time... I was actually upset to have lost a race... I still call BS on my two back to back red light starts But I am learning more about my car's revised set up in every event. 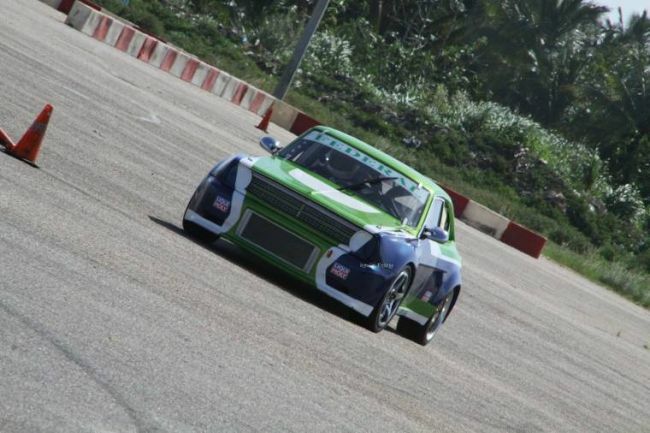 How about a Test n Tune event Autosport ? Friday 31st May ? HOW BOUT IT ?!? X2 wrote: How about a Test n Tune event Autosport ? Friday 31st May ? HOW BOUT IT ?!? Friday is usually a bad day to go up there - horsey business going on etc. I'm down for a test and tune since there is nowhere else (munroe rd. included). on the topic of test and tune. i need it definitely. cosigned. Results on the drifting Competition?? Could be wrong, but I think that's what I heard.